On October 26, both Upper and Middle School students participated in Pingry’s annual Rufus Gunther Day. In a day dedicated to community service, Pingry students and faculty visited numerous organizations in order to give back to the greater New Jersey community. Students continued the long-standing tradition of service by, among other activities, sculpting clay, making blankets, planting trees, decorating posters, and sorting candy. In the morning, buses picked students up and dropped them off at their various organizations. This list included Grow It Green, an organization that uses gardens to help provide fresh food to the community; Deirdre’s House, a center for children affected by abuse; and Community FoodBank, which helps the hungry. 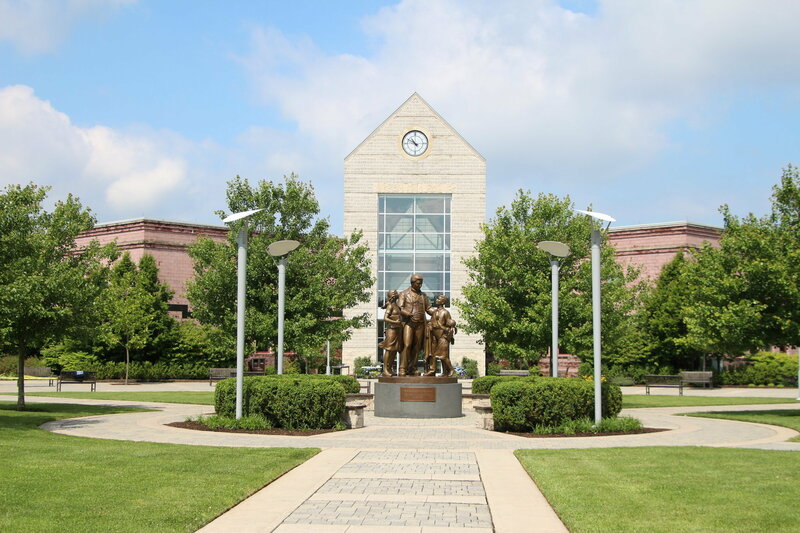 Pingry students also worked with ECLC (Education, Careers, and Lifelong Community), the John Taylor Babbitt Foundation, and Bridges Outreach, all of which Pingry has built strong relationships with. In addition, students helped at organizations created by Pingry alumni: Saint Justine’s Preschool and The Christopher and Dana Reeve Foundation. A Birthday Wish, founded by another Pingry alum, provides gifts for kids in the foster care system. Anushka Agraway (IV), who helped wrap presents for the organization, remarked about her experience: “It was really great because it gives us a fun way to give back to the community”. For the second time, Pingry Drama students went to Montgomery Academy, a school for kids with social and educational challenges. There, they stayed with Montgomery students during classes, including Music and English, and played improvisational games with them to help them learn how to mend negative situations. Mr. Alan Van Antwerp, a Drama teacher who joined the Pingry students at Montgomery, was excited to see that the Montgomery students “got along well with the Pingry students because they saw that [they] all were students too” and that there was a “fun, collaborative” environment between the two groups. Ms. Shelley Hartz, Director of Community Service, worked hard to put the day together and finds that it’s important to “recognize as a community that we are part of a community . . . part of many communities” and that Rufus Gunther Day is an opportunity to “work with so many organizations that are diverse in what they do.” Ultimately, she hopes that this day of community service “builds bonds and tradition for students.” Ms. Hartz’s dedication to building relationships with organizations, in conjunction with Pingry students’ active involvement in community service, made Rufus Gunther Day, once again, a uniquely rewarding day. Robotics is not often in the spotlight, and many members of the Pingry community haven’t heard much about what we do. However, even those who do not know where the robotics room is or those who just assume we make battlebots may have noticed that the robotics team is stepping out into the public eye here at Pingry, starting with our own competition. After weeks of planning, Pingry hosted its first ever FIRST (For Inspiration and Recognition of Science and Technology) Robotics event on October 27. Our event, Bear-ly Built, involved sixteen teams. Two of them were Pingry teams: the veteran team (6069) and the rookie team (14543); both had been designing, building, and coding their robots since the challenge was revealed in September. “Endless hours of hard work have been put into both robots in order to be ready for our first home competition,” says captain Brian Kaplan (VI), who has been guiding underclassmen on both teams along with co-captain Alex Strasser (VI). The robots were designed for the FIRST Tech Challenge (FTC), which requires teams to build small robots that can perform a series of tasks. During a thirty second autonomous period, robots attempt to lower themselves from a hanging position and perform a few simple activities, all from pre-programmed instructions. Then, for two minutes, two members from each team operate the robot using controllers and attempt to place balls and cubes into a “lander” in the middle of the field. Each match consists of two competing alliances composed of two teams each, and the highest scoring alliance wins. Both Pingry teams were ultimately very successful; both teams advanced from the qualification rounds. Furthermore, the veteran team, along with its alliance partners, emerged victorious in the finals! However, despite their success, it is still quite early in the season and there is a long way to go. True to the name of the competition, many robots were a bit rough around the edges, but it was still valuable for the students to see other teams and designs. “We are glad to have done well, but we look forward to making further improvements, continuing to grow as a team, and learning more about robotics in the future,” remarked Alex Strasser. In addition, the competition provided an opportunity for the girls on the team to convene with other girls from the robotics community. As a team of mostly girls, Pingry Robotics hosted a luncheon for New Jersey STEM Girls, an organization that encourages girls interested in science and engineering to share ideas and build relationships. The event, led by Eva Schiller (IV), Monica Chan (IV), Jemma Kushen (IV), Alesia Paliwoda (IV), and Jamie Wang (V), featured a round-table discussion about team sustainability and recruitment. “It was interesting to see how different teams used different strategies to recruit and structure their team,” reflected Monica, a builder and coder for the veteran team. Overall, through hosting the competition, the robotics team hopes to reach out to the community and raise interest within the student body. “Seeing how well the robotics team has performed recently has really made me aware of how strong the team is,” says Rosemary Collins (IV). 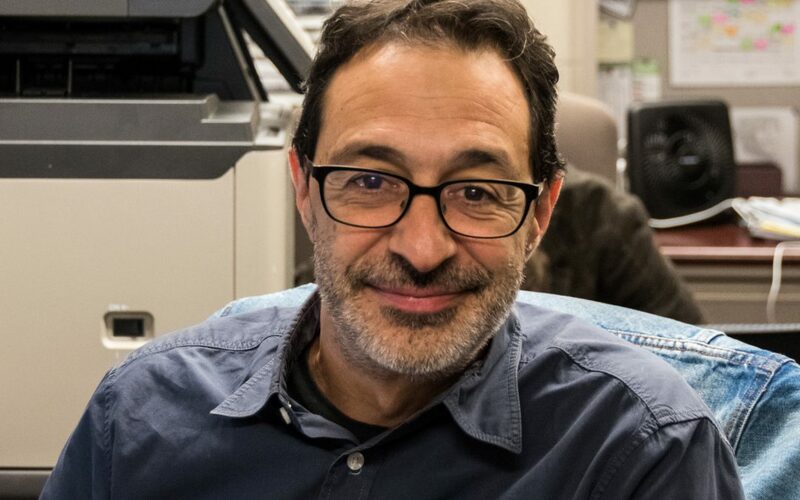 While our robots do not have legs and faces, and unfortunately aren’t battlebots, robotics is still a cutting-edge field that has only recently entered the spotlight. With hard work, determination, and commitment from all team members, Pingry Robotics is ready to take on a bigger role in the community and in the movement towards a more advanced and technologically-oriented world! 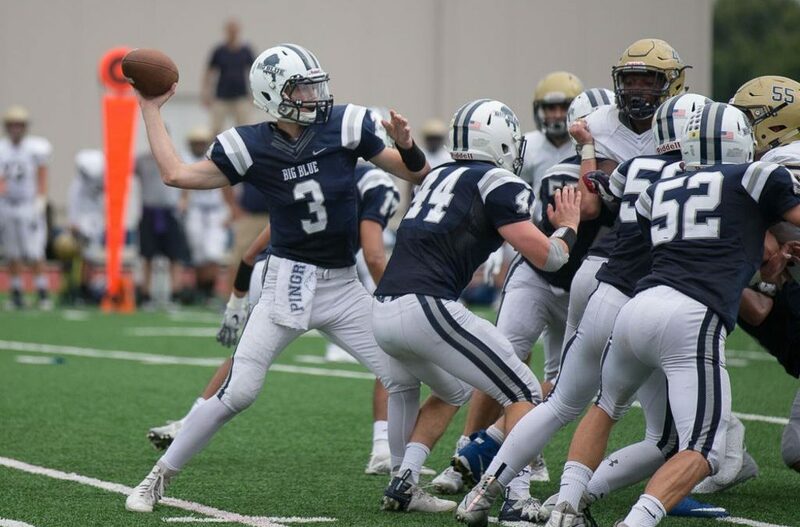 The Pingry football team is heading into its second year in the Metropolitan Independent League with a new sense of confidence and excitement. Coming off the team’s first winning season since 2003, head coach Mr. Christopher Shilts looks to continue his recent success alongside senior captains Nate Hefner (VI) and Zach Dobson (VI) as well as co-captains Jack Baulig (VI) and Joe Shilts (VI). The team replaces the position of Obi Nnaeto ‘18, who rushed for 1,526 yards and 18 touchdowns, with a new group of running backs led by Hefner and Brian Benson (VI). “It’s nice to have a different kind of mindset, not hoping to win anymore, but expecting to win. 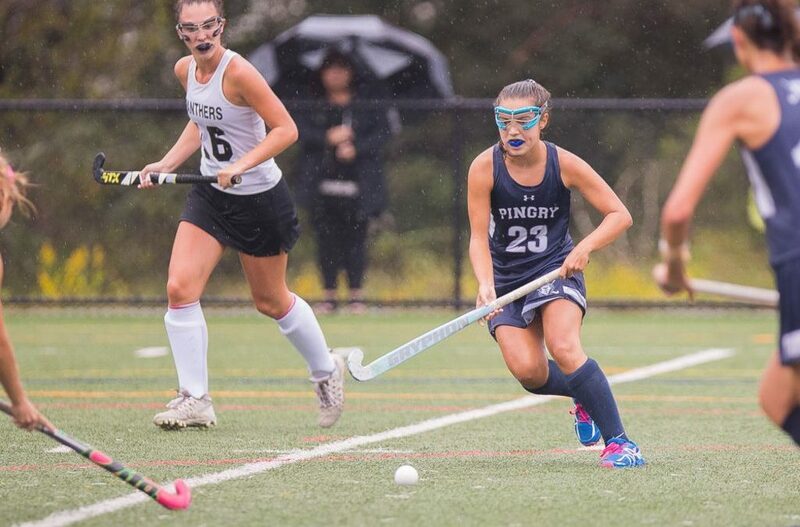 Our goal is to be the best Pingry team ever,” said Mr. Shilts. He means business. 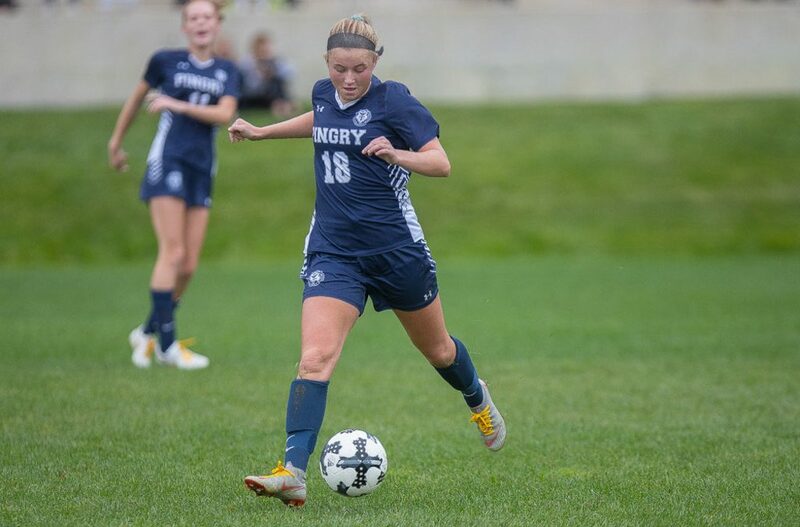 Starting off the season with a winning record, the varsity girls’ soccer team is off to a strong start. 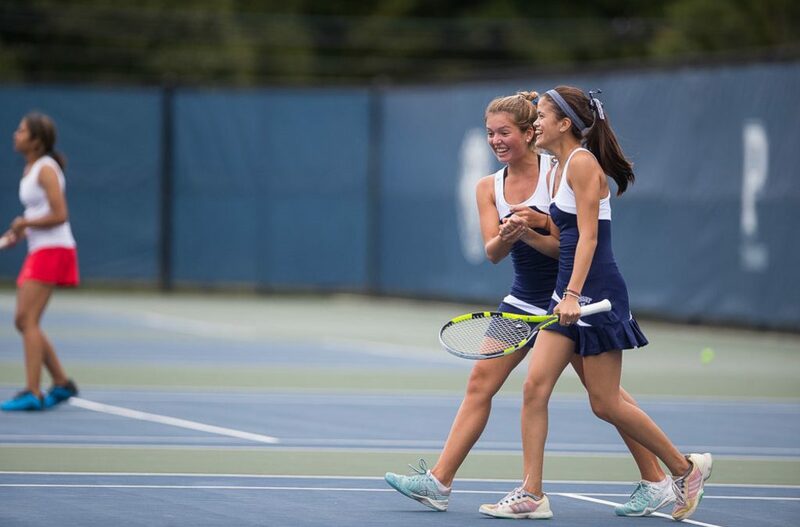 Led by Captains Abby Beckmen (VI), Ava Dziadzio (VI), and Caroline Friend (VI), the team has held their own in the Skyland Conference. Dziadzio noted that “our team has clearly proven that we are up there with some of the big-name programs.” Recent highlights include crucial wins against Ridge High School and Hunterdon Central High School, as well as a hard-fought 2-3 loss against Bridgewater-Raritan High School. The team has been working hard on the field and in the weight room, which has translated to strong performances in games. “This season should be particularly successful, especially with the return of several skilled players from the Academy program and an overall deep, talented roster,” said Dziadzio. As for now, the girls are putting in lots of effort to prepare for their upcoming games as well as for the county and state tournaments that start later this month. The team has changed considerably since last year, with key seniors graduating and three talented freshmen joining the team. Captains Nicole Kloss (VI) and Allie Matthias (VI) are focused on working with the new team to achieve the goals set by their coach. However, in light of their early achievements, it seems that the team has a good chance of not only achieving their goals but exceeding them. In a few ways, varsity co-ed water polo has been reborn. Weeks before preseason started, previous Head Coach Misha Klochkov unexpectedly departed to coach water polo at the Lawrenceville School. With a number of strong seniors and underclassmen leaving as well, much of the team’s firepower and leadership seemingly vanished. However, under new Head Coach Aleksander Brezikar and captains Kevin Ma (VI), Grace O’Mara (VI), and Ben Ingrassia (VI), the team is ready is bounce back and rebuild its ranks. They opened the season with convincing wins against St. Peter’s Prep and Choate Rosemary Hall, performances that have allowed Kevin Ma to state with confidence, “Despite the setbacks we have faced, we may be capable of much more than first expected.” When it came time to face their former coach and his more experienced Lawrenceville team, Pingry held down a tied score into the third quarter. Although they ultimately did not emerge from the competitive game with a win, the team will train for their home rematch later this season. 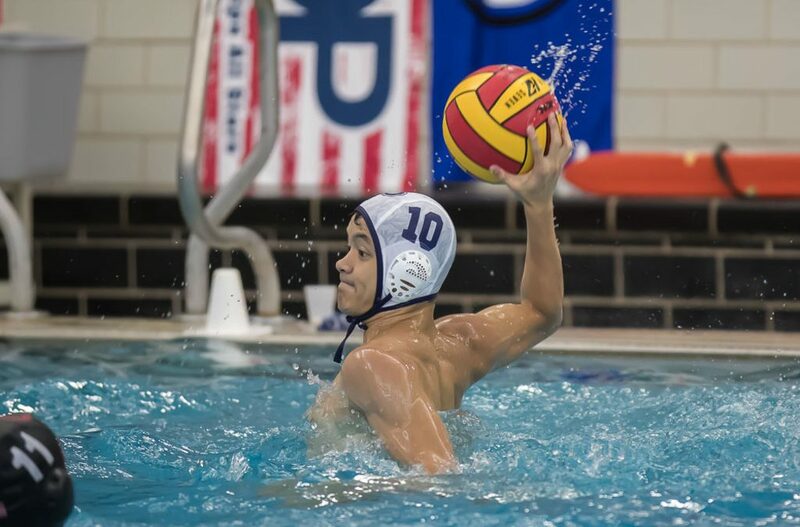 To onlookers, water polo may seem to be only a shell of last year’s team, but the resilience the young team has exhibited so far proves there is more than meets the eye. 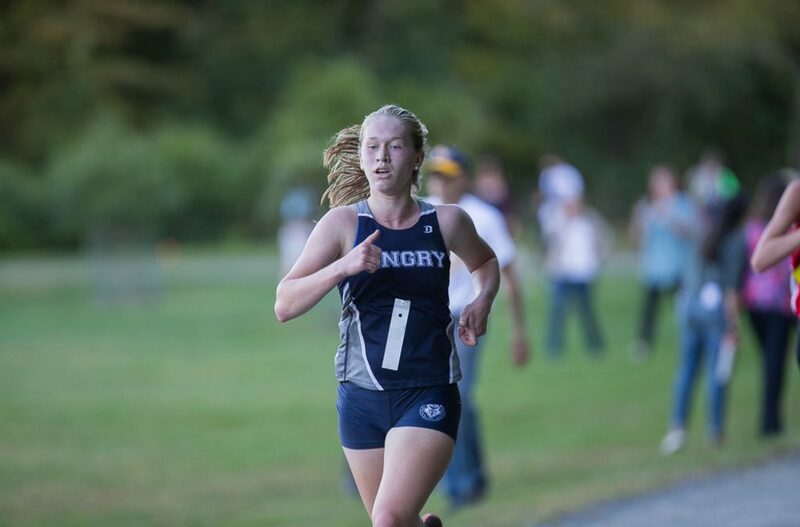 Led by captains Cathleen Parker (VI) and Nicole Vanasse (V), the varsity girls’ cross country team is looking forward to another fantastic season. “Expectations are high for this team,” Head Coach Tim Grant remarked, with the girls coming into preseason ranked ninth in the state. Unfortunately, the team has faced some challenges along the way, with Ryan Davi (IV) and Elina Irvine (IV), two of the team’s strongest runners, both currently injured. Still, Coach Grant and the team captains have ambitious goals for the season. Coach Grant declared, “Our main goal this year is to qualify for the Meet of Champions and to try to advance to Non-Public A State Championships.” To do this, the team will have to have strong performances at the Shore Coaches Invitational in early October, the Prep State Championship at the end of October, and then the Groups Meet in November. The team placed at all of these meets last season and they hope to defend their title at the Prep State Championships. 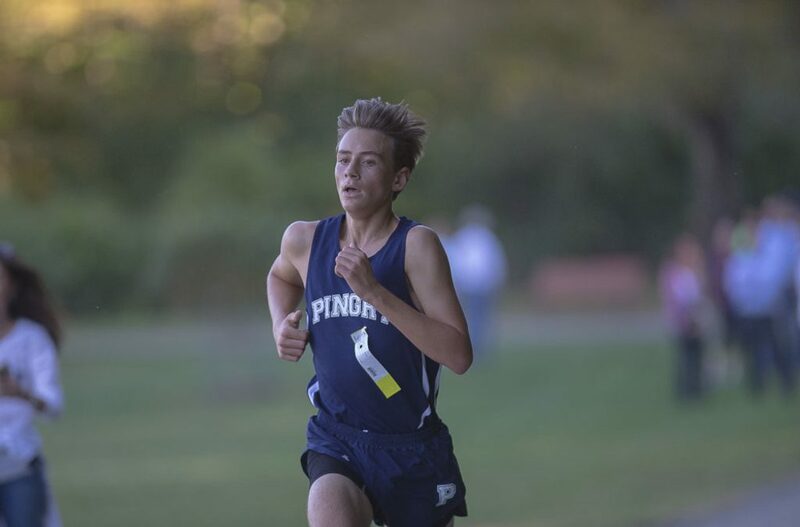 Despite losing two varsity runners, the boys’ cross country team, led by captains Tom Drzik (VI) and Jeffrey Xiao (VI), is looking forward to another successful season. The team has already shown strong potential when it opened the season on September 11th with a home meet win against Bernards, Somerville, Immaculata, and Gill St. Bernards. Since then, Coaches Matt Horesta and Tim Lear have helped the team gear up for October’s championship meets through a variety of road runs and workouts. The Big Blue football team had an impressive 20-0 win against MKA at the PSPA’s annual Friday Night Lights event on October 12. Students and Faculty from both the Lower and Upper Schools came to support and cheer the team on to victory. Middle and Upper School singers kicked off the evening with the National Anthem, and, thanks to Middle School Athletics Director Gerry Vanasse, young fans enjoyed a variety of games, activities, and prize giveaways before and during the game. Middle Schoolers ran an impressive flag rush, as well as a Mega-V-Ball game, at half time. Nate Hefner (VI) and Zach Dobson (VI) led the team to an impressive +4 on turnovers. Scorers included Luke Engelke (III), James Wang (V), and Joe Shilts (VI) in the 2nd quarter, and Peter Nicoletti (VI) in the 3rd quarter. 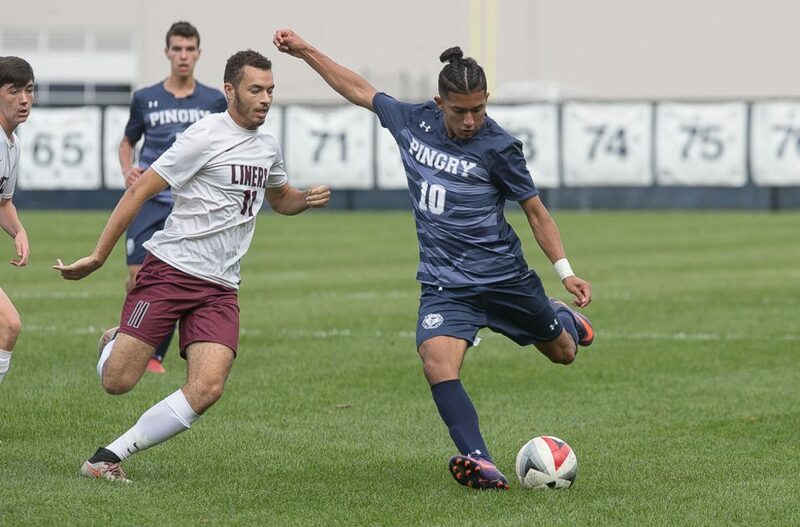 Pingry football had a great showing, on both offense and defense, according to Head Coach Christopher Shilts. It was a fun night for everyone. Congratulations to Big Blue football, and thanks to all the Pingry fans for their support!